Born: 16 March 1840, Knutsford, Cheshire, England. Died: 29 November 1923, Cape Town, South Africa. Charles N. Thomas served an apprenticeship as an engineer and later became an associate member of the (British) Institution of Civil Engineers. He emigrated to the Cape Colony in December 1859, became registered as a surveyor, and on 1 September 1860 was employed in the colonial engineer's department. In January the next year he was appointed as a compiler in the office of the surveyor-general. From August 1863 to April 1864 he was seconded to the staff of the colonial railway engineer, surveying the route of the railway from Port Elizabeth to Grahamstown and drawing up plans and estimates. Back in the office of the surveyor-general he rose to chief compiler of index maps in July 1868. Among others he compiled divisional maps of Bathurst (1890, 1901), King William's Town (1890, 1900), Middelburg (1890), East London (1898), Barkley West (1899), and Hanover (1899). His rationalisation of the mapping and indexing system helped to correct many earlier survey errors. Over the years he supervised the redrawing of several maps of parts of the colony. Among others these maps served as the basis for geological maps of the colony. For example, a geological map of the Division of Kentani, compiled by A.W. Rogers* and E.H.L. Schwartz* and published in the Annual Report of the Cape of Good Hope Geological Commission for 1901 was "based on the map of Mr C. Neumann Thomas, Cape Town, 1892" (Council for Geoscience, 1997, p. 5). However, his most important cartographic contribution was the compilation of a Map of the Colony of the Cape of Good Hope and neighbouring territories, published in 1895 on a scale of 1:800 000. The surveyor-general at this time was J. Templer Horne*, whose name appears on the map. Thomas was a member of the South African Association for the Advancement of Science in 1903, but no longer by 1906. 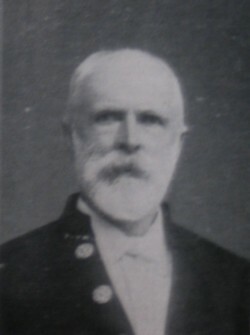 He played a significant role in the cultural history of Cape Town as a foundation member of the Cape Town Musical Society and organist of St George's Cathedral in Cape Town from 1864 to 1888. He was also an enthusiastic sportsman who participated in rowing and fly fishing, played cricket as a left-arm bowler for the Western Province for many years, later served as an umpire, and was a member of the committee of the Western Province Cricket Club for 23 years. As a member of the Duke of Edinburgh's Own Volunteer Rifles he attained the rank of captain in 1887. On 14 April 1864 he married Ellen H. Ross, with whom he had eleven children. One of his daughters, Miss Ethel Neumann Thomas, was a member of the South African Association for the Advancement of Science in 1906. Thomas retired from the civil service in March 1900, but maps continued to appear under his name to 1902. After the Anglo-Boer War (1899-1902) he served as a sub-commissioner on the war losses commission from December 1902 to August 1903. In April the next year he was appointed sergeant-at-arms of the Cape House of Assembly, a post he held until the formation of the Union of South Africa in 1910, when he finally retired on pension. In July 1909 he read a paper before the Cape Cambrian Society on "Holiday odds and ends", which was published as a pamphlet that same year. Thomas's diary of his voyage to the Cape, covering the period December 1859 to October 1860, reminiscences of his life at the Cape, and the diary he kept during the first few months of the Anglo-Boer War (October 1899 to March 1900), are housed in the National Library of South Africa in Cape Town. Cape of Good Hope. Report of the Surveyor-General, 1896. Horne, J.R. The Horne family: a historiacl review of 260 years in surveying. South African Survey Journal, 1981, Vol. 18(3), pp. 4-12. National Automated Archival Information Retrieval System (NAAIRS). . Documents relating to Thomas, Charles Neumann / Thomas, C.N. Rosenthal, E. Southern African dictionary of national biography. London: F. Warne, 1966. South African Association for the Advancement of Science. Report, 1903, 1906: Lists of members.